Had a wonderful experience at Dr. Jason’s office? Tell your friends! 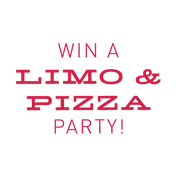 The patient or family who refers the most people in a year wins a limo ride with friends and a pizza party with the tooth fairy! Winners will be announced annually in January. So show those grins off and tell people how Dr. Jason and his tooth fairy helpers make your smile healthy and happy!